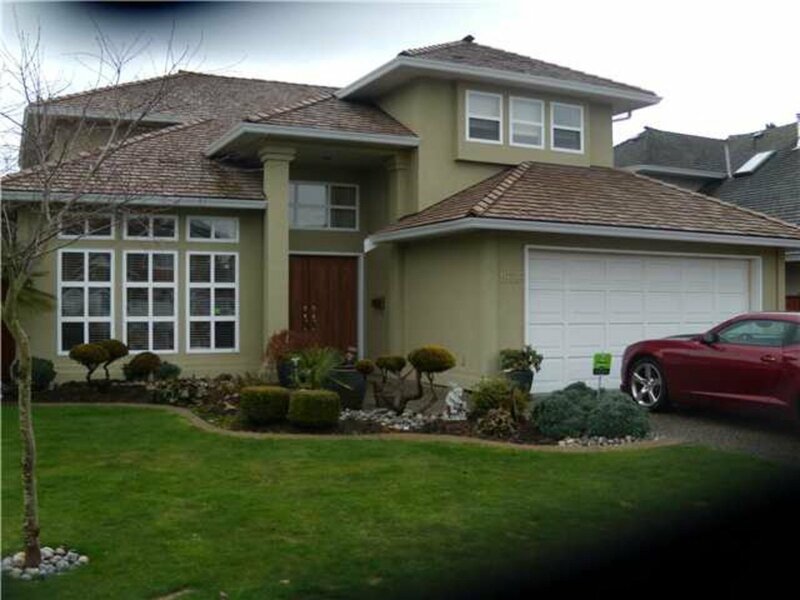 Prestigious Imperial Village across from the new Tsawwassen Springs Golf Club - close to Southpointe Academy. Delightful, 19 year old, 2346 sq ft, five bedroom home on a quiet street nestled on a private sun-drenched professionally landscaped lot. Over $30,000 in upgrades in 2007 including paint in & out, 2" blinds, maple kitchen with newer appliances, carpets & washer/dryer. Two sets of French doors with phantom screens lead to a gorgeous yard complete with patio, grass area, hot tub (2007) & gazebo. Fully fenced yard - new fence - and cedar hedging. Wired 10' x 13' workshop. Newer boiler controls (Tekmar) & expansion tank for heating system. Refurbished roof - 10 year warranty. Double garage and extra driveway parking.